Coming to Greensborough for one night only. Fresh from the Melbourne International Comedy Festival, the globe-trotting show is touring 20 countries this year alone. If you don’t want to go to the city or if you want to see the show again, come to Greensborough. This pitch perfect tribute to Fawlty Towers starts as the audience waits to be seated then hurtles along for the next two hours. This is fully immersive, highly improvised and site-specific comedy theatre at its best. With only a third of the show scripted, everything stays sharp and fresh as Basil, Sybil and Manuel serve a three-course meal with a good dollop of their trademark mayhem – while the audience play the part of their restaurant diners. Do expect "a rip-roaringly hilarious night out" (This Is London) with all the best gags… but don’t expect a herd of giant wildebeest, and certainly don’t mention the war. "the wackiest and happiest experience you’ll ever have" - Cork Evening Echo, Galway Comedy Festival). 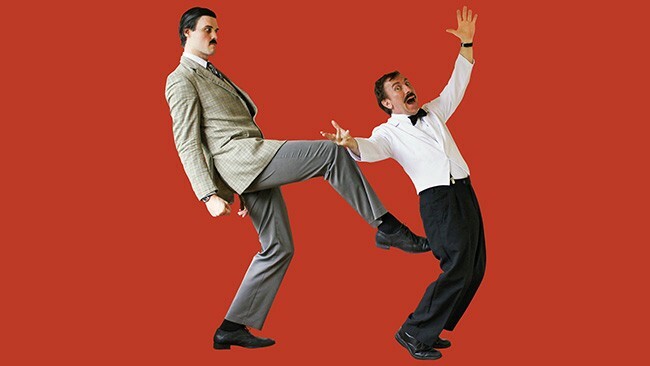 Faulty Towers The Dining Experience was born in Brisbane in 1997 and made its international debut in 2008 at the Edinburgh Fringe, where it has sold out every year since. Last year it opened a residency in London’s West End, where it continues with seven shows a week throughout 2013. Six teams of cast now tour the world non-stop. For more show information including cast details please visit the website. Tickets include pre-dinner drinks, three course dinner and two hour show.